Every once in awhile some new statements will pop up in this community that make me balk. These statements usually come along with the term "always" or "never," (or sometimes both) when talking historical dress. "18th century and Regency shoes were always straight lasted"
"Victorian gowns never showed ankle." "Mourning dress is always black, and black gowns are always mourning gowns"
"18th century gowns were always trimmed in self-fabric"
"Solid colored cotton dresses did not exist in the 19th century. Extant solid colored dresses have always been found to be wool, silk, a combination fibre, etc." Every single one of those statements is false. As soon as a statement like one of these comes up, I try to figure out where it came from. I can start by canceling out that it came from any credible museum researcher or dress historian. I've been schooled by more than a few museum professionals on the use of definitive language when describing what we think we know. At first this frustrated me. 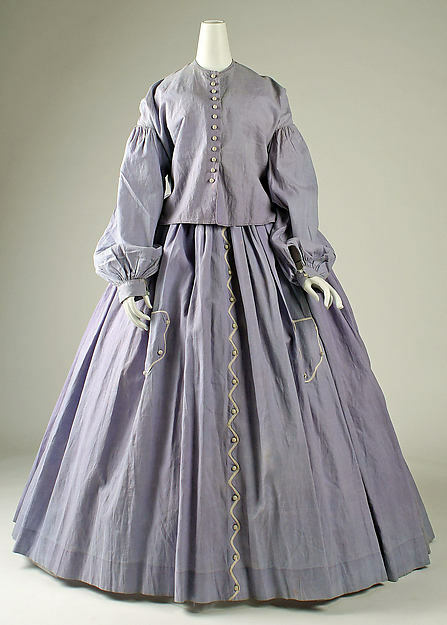 It seemed like I couldn't get a straight answer out of my museum contacts about seemingly simple stuff - what kind of fabric an extant gown was made from, or what exactly was this type of dress called, etc. I didn't like their fluffy answers; I wanted things to be black and white. The problem is that with dress history, things aren't black and white. Jan Loverin, curator of the Marjorie Russell Textile Museum, would not tell me that a certain fabric was wool because it had not been examined under a microscope and confirmed that the fibre was indeed wool. Abby Cox, apprentice milliner in Colonial Williamsburg and holding a Master of Letters in Decorative Arts and Design History from the University of Glasgow, would not give me a solid definition of a Robe a la Turque because there is no definitive description in primary source material. The important point here is that these professional would not tell me these things. When I asked Jan Loverin about this, she told me that trained curators, historians, and researchers know that their field of study is constantly changing and it's simply inappropriate and irresponsible to make definitive statements. New information is uncovered regularly, changing our knowledge and understanding of the past. Historical dress research is in no way static - just think about the number of extant garments we have in museums, and how many may be in private collections, and how many are languishing in somebody's attic or basement. In addition to extant garments, think about how many other primary source materials we have - paintings and prints, periodicals and novels, advertisements, fashion plates, private letters. Do you see the problem? When a statement like "colored cotton dresses did not exist in the 19th century" is made, I must counter with, "but have you examined every 19th century gown surviving in every collection in the world? Have you read every magazine, seen every fashion plate and their descriptions, read every letter surviving from that time period?" When statements like these are made, it's a challenge. Usually it takes only a short time of searching to find examples that negate the statement categorically, which is why I'm illustrating this post with a whole series of solid colored 19th century gowns. 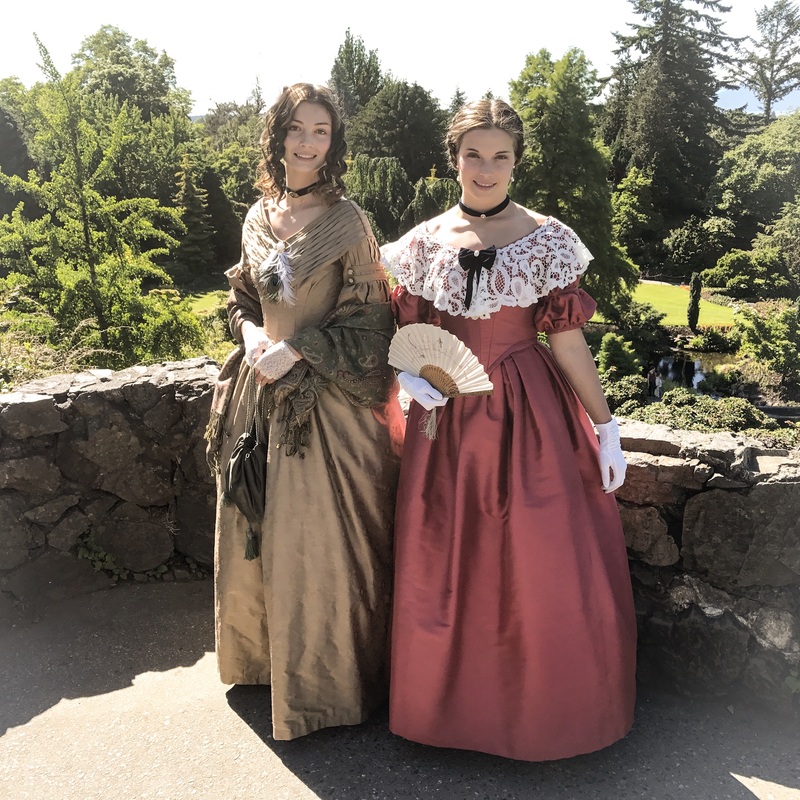 "Of the extant 19th century garments I have studied in the collections of ________ and _________, I found what appeared to be 10 printed cottons, 20 solid colored silk, and 5 solid colored wool gowns." You might think I'm mincing words and being overly sensitive about this, but I encourage you instead to think about how definitive statements impact our hobby. And for the record, I've been guilty in the past of using the dreaded "always" and "never," and you know what? Each time I've done that, I've been proven wrong within minutes. And I felt really foolish for being so unbending in an area of research that is anything but static. The broader lesson here is to be open and curious in dress research, and search for the answers to your questions. 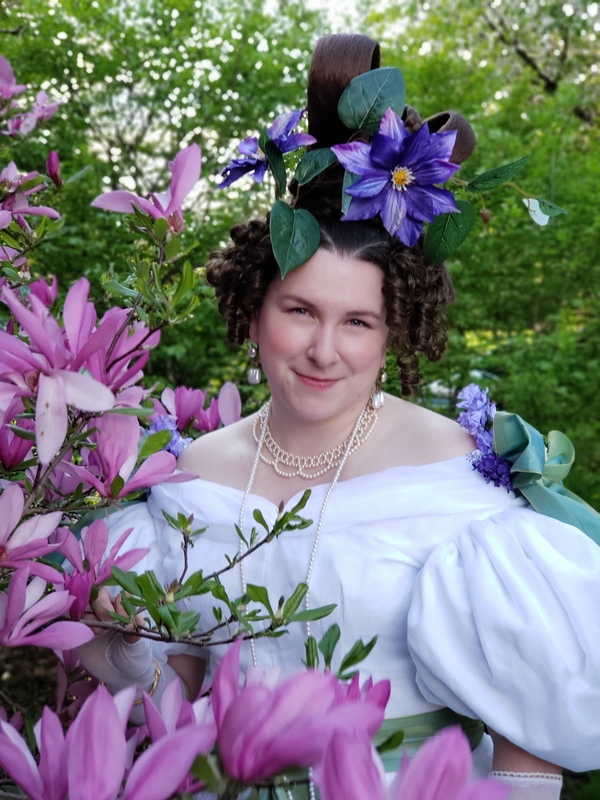 Want to make a mid-Victorian gown in a solid-colored cotton? Look for primary sources supporting your idea instead of going off of rumor and misinformation. A note about what I found for solid colored 19th century gowns: I looked for primarily mid-Victorian dresses (though included a couple earlier and later examples in this post to show transition and technology) specifically in solid colored cotton, so omitted white and ivory cotton garments, of which there are many. I did find that the majority of cotton dresses surviving in the museum collections I searched were printed calicos. I also noticed that the colored cotton gowns I found were not without decoration, some more than others, as illustrated above. 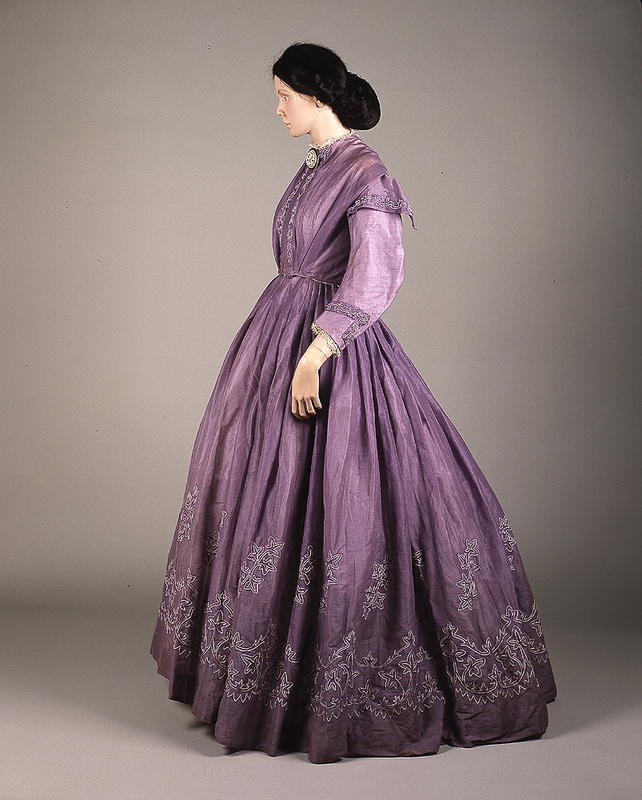 If I were making a decision to sew a mid-Victorian day dress in solid colored cotton, I would most likely go for a light shade such as lavender, pink, or tan, and plan on decorating it with applied trim. However, this does not mean that solid colored cotton gowns in dark colors didn't exist; it only means that in my short search I did not find any, but that with more research I may find evidence of some in the future. I think so many of these "always" and "nevers" develop out of well-intentioned--and sometimes very accurate and helpful!--"best practices." A new person entering the hobby is told, "You're best served doing X technique" or "You can't go wrong with fabric Y." Which is true, and easy to digest, and a good starting point. Unfortunately, the best practice takes on a life of its own and morphs into "They never did anything but X technique!" or "They only used fabric Y!" And then we get historical myths and weirdness. I believe we're best served, as you say, sharing research. Even with new people--I try to explain where my recommendation came from, how I thought about it, what resources I looked at, so that they not only get some idea of a good direction right now, but also how we find the answers so they can start on the crazy path of research themselves. I completely agree! And I think you have a point about sharing your resources and how to research. Not everybody does know how to research. Maybe a good follow-up to this post might be one about how to research and form appropriate ideas about what we find. Yassss. Because the opposite end of the spectrum--and equally problematic--is the "I can document ONE SINGLE EXAMPLE and therefore it is right for my impression/a norm for the period/something I'm going to tell others is Always Right." 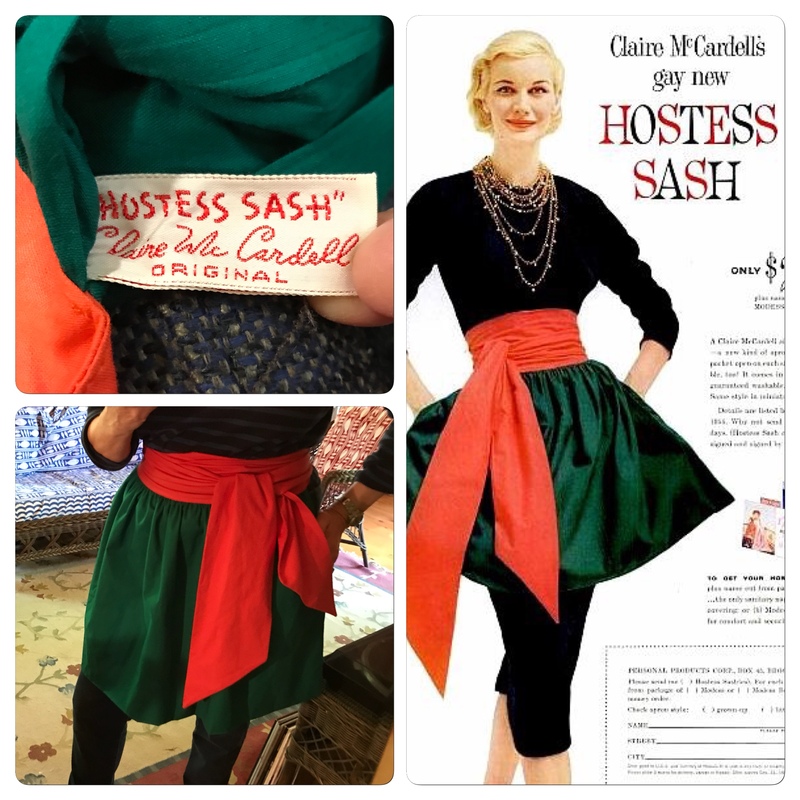 If you're costuming for the joy of garments only, making weird kooky oddball examples is peachy--but it's not the same as finding a historical norm for a particular locality and recreating it for reenactment, docenting, or some other more specific end. And of course, there's *interpreting* research which is a whole other Club Size can of worms. I look at it like this - just because Lady Gaga wore a meat dress, does not mean meat dresses were worn. A single rare example may be due to a single person's choice, and not indicative of what my generally worn. A single example does not override the whole. I move around the scene for medieval reenactment/living history and I am in many forums, groups etc. where beginners ask their first questions. And I really tried differentiating at first, but after a time you stop that. It confuses beginners and discourages them to see such a WALL of research before them. They simply do not understand what research means and what they have to do to get their sources and that it is not as bad as it seems. 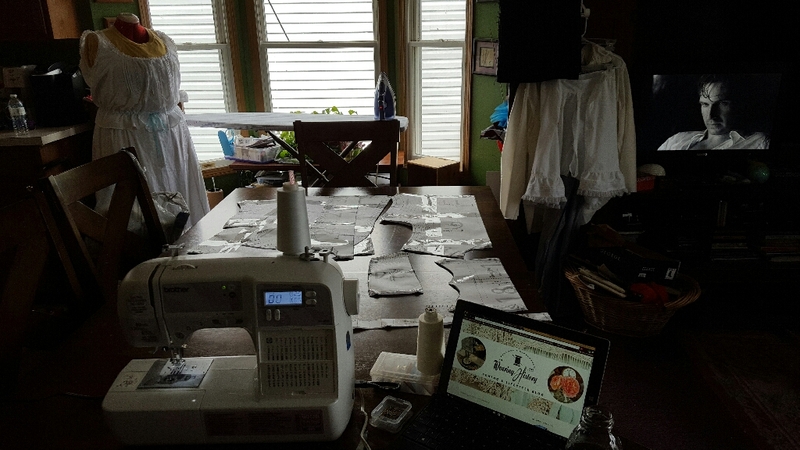 They are excited and motivated and all about their new hobby and they will certainly not listen to you if you tell them "take a few months/years time to research and then start sewing". And if I tell them, they will listen to someone else who maybe tells them completely wrong stuff but with a chance to start off immediately. I really do not see any harm in giving them definite directions for their first ensemble and telling them "do that and that, dont do that, best use the following sources/finds/books" in a kit-guide kind of way so that they can start off into the hobby with a simple non-problematic ensemble of clothing that will not be wrong, so they can visit events and have fun with it or find a group of living historians they want to join. They will come to research very soon in the right environment (which their well-made ensemble enables them to be in). It is really not a big deal when today as an advanced living historian I find some of the things I have been told as a beginner not to be as rock solid as it seemed then. And I think it won't be for them as well. Of course, what we say to visitors on events and on our websites is a whole other thing. Here, detailed information is wanted and appreciated and has the right crowd. I suspect that such definitive black-and-white statements come to exist mostly when people are trying to give guidelines for new reenactors, docents, etc, and it's just easier for them to say "no" than, "well, we have one extant museum example of this but it's in Scandinavia and we're portraying farmers in the Midwestern US" or something. Not that I think it's right, mind you - but someone saying, as in your example, solid colored cotton dresses didn't exist in the 19th century, is probably trying to prevent someone showing up at their site in Joann's poly-cotton broadcloth. All that said, I don't think it's right! Dumbing down any aspect of history never does anyone any favors. Primary sources are so important...if you don't use them it's like playing the longest game of "telephone" ever, and of course what you get at the end's all garbled! Hahah, yes, I think you can safely say that. :-) Touché ! I think you're right about how these kinds of statements get perpetuated. It probably started as something totally appropriate - "we've found the majority of cotton garments in the mid-19th century to be in prints" - and eventually became "solid colored cotton dresses didn't exist." I like your "telephone" analogy - yes, JUST like that! Never use always when re-creating historical clothes. No true historian enthusiast (professional or otherwise) can say that. Especially about clothes since that's usually the first to disintegrate. Though there are pictures to help no one will ever know for sure. Lovely post! I'm always open to new things as not one of us knows everything and the past was a much more complex place than we can imagine. My favorite answers: It depends and I don't know. Working in a museum has definitely taught me "don't know mind," and the endless possibilities of new information and being proven wrong. I love that, though: always learning. The tricky bit is when people flip it around: you can't use the lack of absolutes to justify an "anything goes" approach *IF* your goal is to produce historically accurate-as-can-be costumes. 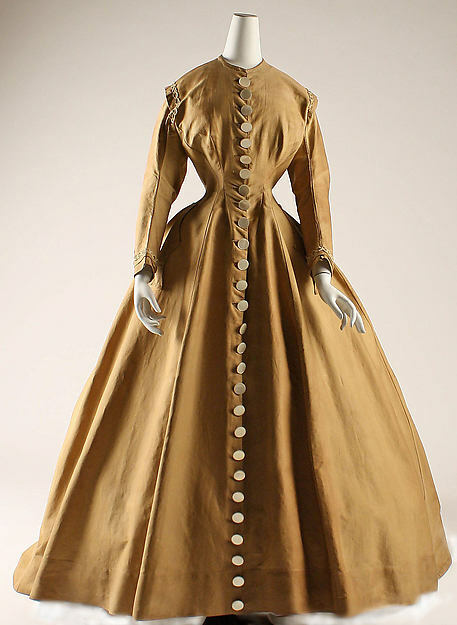 As Amanda says, You'll never find a 19th century gown made of polyester crepe, or an 18th century gown with a zipper. It's all in knowing what questions to ask, and being open to digging into the sources, as you note. That's a really good point about flipping it around. There *are* facts, things we know to be true because we have records relating to the technology - for instance, the polyester. Yes, we know that polyester didn't exist before a certain time period, so gowns could not be made from it. That a statement about technology, and in dress research technology certainly plays a part, like when the sewing machine was invented, or the mirror lathe (if we're talking about shoes), or rubber and original plastics were patented and then found in-use on clothing. Absolutely fascinating stuff, but even there we have to avoid "always" and "never" statements - it's incorrect to say that after the invention of the sewing machine, clothing was never sewn by hand....but we CAN say that BEFORE the invention of the sewing machine, clothing was never sewn with a sewing machine! So often I see blog posts saying stuff like that -- and it drives me crazy, especially crazy when I KNOW I've seen (or read, it's amazing the weird clothing knowledge gleaned by reading letters/journals of a period) examples contrary to what they are saying. This is so true in historical fields! My boss and I had to consult several colleagues the other day because an object in our collection didn't *seem* right because we couldn't find another similar example. But don't you just know it, someone was able to confirm that it was authentic, it just had a different backstory than the examples we were seeing. And I wouldn't be surprised if at some point in the future you randomly run across and original advertisement, or a description in a magazine or newspaper clipping, or somebody's letter about the object (I don't know what it is, but you get the point :-) ). It was a dp camp police band from a tiny tiny dp camp so it's hard to find a close match. At best, we'll get lucky with a GI's family donating his pictures if he was stationed there. That'd what I was hoping would happen when we still puzzling over it, but no luck so far. That's part of the fun too, isn't it? When history surprises us. I have a 19teens blouse that has what appears to be machine overcast stitching on the interior seams. I believed (without researching) that this meant that it couldn't be as old as I thought it was, that it must've been a 1970s recreation...or something. Then a a fellow costumer with lots more experience in fashion of that period told me that machine overcasting DID exist and was being used in the 19teens, so I went down the rabbit hole and confirmed it. Yup, the blouse IS as old as I thought, and yup it DOES have machine overcast in a natural fiber thread, and that is absolutely mind-blowing! Thank you! I once saw someone say that the professional at museum *must* have been in error because a dress was *never* made in solid colored cotton. 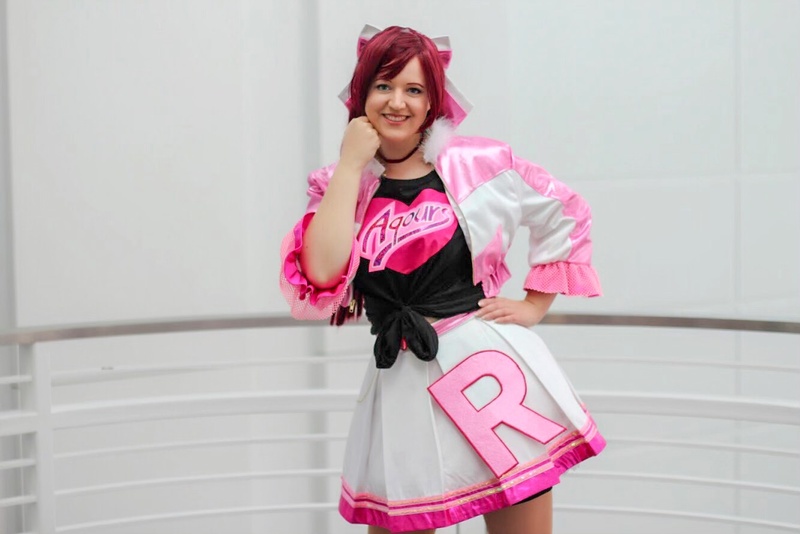 And I was so discouraged when I was fist starting out and trying to make a dress with the lovely fabric that I had acquired for a good price that I was lambasted for trying to use, that I almost gave up forever. Because I try to avoid making things that could not have existed or are not documented I do a lot of research. And the more I research the fewer absolutes I have. People told me it's not correct to draw up the back of a robe a la francaise as you would with an anglaise, and yet there are contemporary drawings and even an existing gown in Russia that show that it was done. I mean even something that you would think is an absolute anachronism - women wearing trousers - is actually documented in a painting of Marie Antoinette of all people. So if you can't even rely on the "women wore always skirts" rule, ruling out so obvious things as solid colored cotton is just weird. But people don't discuss that issue when they use absolutes. Instead they take what should be the discussion of what was normal and common and turn it into "nothing else existed". Could one of the reasons so few solid-coloured/untrimmed extant dresses can be found is that poorer women, who might have used solid colours for their "best" dresses could not also afford to trim them, or that they tended to wear them until they were only fit for cutting down for a child or for quilt patches, household odd bits, or stuffing? I think you hit the nail on the head. It is also possible that the reason you don't see a lot of "dark" colors is they may have faded with repeated washing and exposure to uv rays. 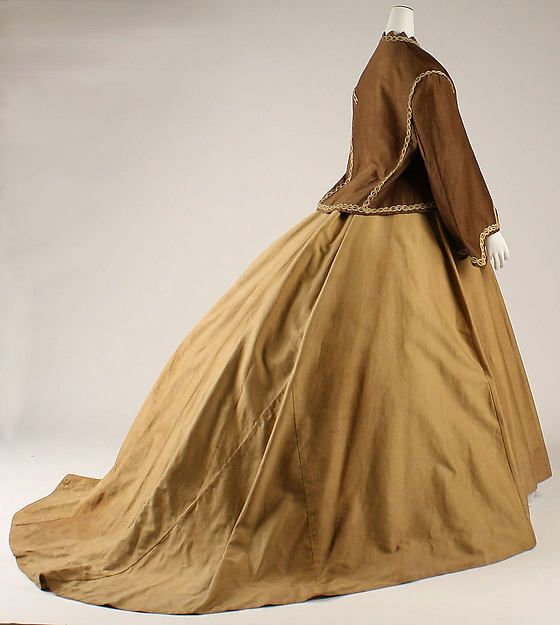 Many "bronze" colored fabrics started as black. I recently got in an all out war over the authenticity of an 18th century black based floral jacket I was trying to sell. It was made by an extremely reputable source but some folks were just not having it or rather, "Black based florals were not popular" ie didn't exist. Fortunately for me, I had just been to the Bath Museum of Fashion where a black based floral gown from around 1780 is on display. So I 100% agree that knowing something in totality is nearly impossible. There are private collections, sources, etc that are not always accessible, therefore nothing is set in stone. .... and yet we have both fashion plates and extant garments displaying black ground florals. That saddest part about these claims is people's willingness to defend them *to the death* even in the face of evidence. I'm tired of the "well but that's an exception; well but that wasn't common." Really? How do you know? Again, for the same reasons stated above, we DON'T know. The thing that always amazes me about historical recreation in clothing is that the percentage of clothes to have survived must be what, 0.00001%? Maybe 0.0001% of upper class stuff? So how do we really know what was worn in all its variety. Apart from the poly crap, I mean crepe. And then there was no TV, no internet. Just drawings, paintings, written explanations and lots and lots of time between when they were printed and when women in far flung parts of the world received them. Yes, women sewed together and learned from one another, but the idea that there was only one way to do things is a very modern concept. Women would see a fashion plate drawing and have a go at making it, or if they could get a pattern, make it up as best they could. It's only been a few years now that we can google a pattern and read a bunch of reviews about it! And drawings and paintings done by people who did not sew, they could be drawing or painting gowns that look fine but are technically impossible - if you don't know how a gown went together even doing your best to recreate it in paint or pencil could be incorrect. SO I am deeply skeptical of anyone who claims that there was anything absolute about what happened, unless it was a technical development of course. It's a fascinating subject all right! There's only a small portion of what existed still extant today, but it's a misconception that only clothing of the upper classes survive. The most elaborate and expensive ensembles are what you'll see in a big exhibition at a museum like the Met, but most collections (especially at local/regional museums) contain so many pieces that were owned by people who were middle class, upper-middle class at best. They're just not as exciting to look at and so aren't displayed much in the bigger places, and the smaller places don't usually have appropriate dress forms. There are indeed lots of collections that have a different focus than the high fashion/upper class fashions. There's one right here in my area that collects only articles of clothing and accessories with Nevada provenance. This is a good example because 99% of that extraordinary collection has never been shown or shared publicly - only the blingiest, most special gowns come out for exhibitions, and there's not much to be said for the museum's website. So nobody sees or knows what in there except a handful of local people. How many collections are there like this in the world? We just don't know. We don't know what's in them. There could be someone's collections of 1860s cotton gowns in a prefab building in the middle of the desert somewhere (true story, although that one contained a lot more than just cotton gowns). Well said, especially about the drawings and paintings. I am fairly new to forming research myself, and quite frankly, not fond of research. But this brings to mind an interesting conversation I have had about clothing portrayed in the at and culture of of the time. As it has been said, fabric does not last as long as carvings and paintings do so many people base their information on artistic representations. But this raises other questions. How much did the artist know about clothing, what it was made of and how it was put together? Were they painting a literal image or adding personal flare? Were they using symbolism to get a message across? In a lot of cases we just don't have enough information to say for sure. Well said. I very much enjoyed your post. Each day can reveal something new about our ancestors. They have been people, not so different from us and the past was never static. Some periods offer more sources than others and there are still so many not discovered, yet, or even lost forever. We've managed to pin some facts down from several sources, but many still are merely a "could be" or "maybe" or "might not be". This is something we should considarate in our speak and saying "I'm not sure, so far..." isn't something that lessens our knowledge, but a sign, that not all sources are known and we're in the middle of an (exciting) process. Perfectly put, Sabine. Eloquently explained! I'm desperately racking my brains to see if I've ever exasperatedly slid from "there are no solid cottons I'm aware of during [period] apart from white and brown and they're very uncommon in [other period]" to "they never". Hopefully not! Oh gosh, I came across a mourning-focused Tumblr recently that posts photos of black gowns and tags them all "mourning". And dark blue and purple, and black and white. It seemed clear that I shouldn't say anything, but I very much wanted to. I agree that these statements seem to start as perfectly acceptable and get misconstrued into "they never, they always, etc." And to be fair, I don't think many people are saying literally "they never dyed any cotton a solid color in any context." 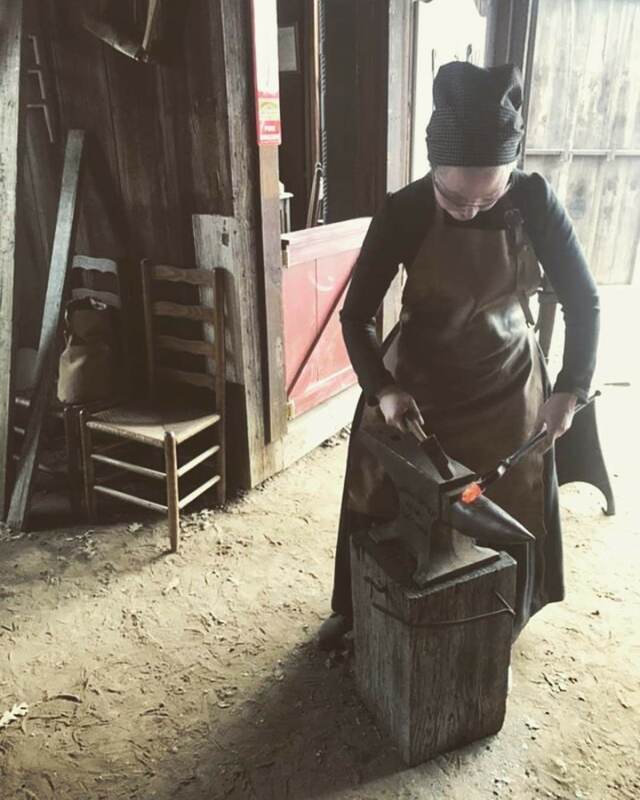 When the topic comes up, it tends to be within the context of someone asking for advice for a specific project - with 19th century solid cottons, that's most frequently work/camp-style dresses for Civil War reenacting. I don't disagree that we should say "nobody's ever documented ..." instead of "they never ..." even in this specific context, but at the same time, fine clothing made in solid cottons don't really disprove that never. Sorry, it's just been niggling at me - while I'm behind the sentiment, "never say always/never" very quickly becomes a rallying cry against research. It's not at all what you intended, but I've already seen responses to this in a few places along "there are no rules, mistrust experience" lines. 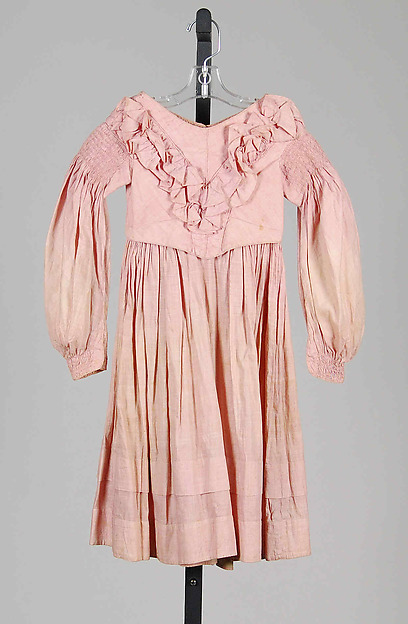 The pink dress with the white tape trimmings is currently in the private collection of K Krewer. It was sold on Ebay as cotton. 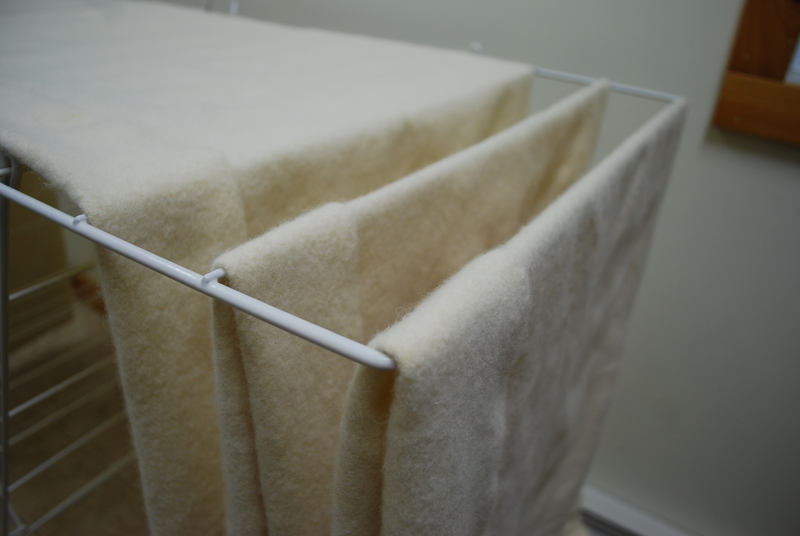 Upon purchase, Ms. Krewer had the fibers examined under microscope and they proved to be wool, NOT cotton. Actually, Ms. Krewer contacted me yesterday and told me that the material is a cotton/wool blend. I have a circa 1880 extant gown that I swore up and down had to have a wool content in the fabric. It is variegated, so obviously it can't be all silk. I took it Lacis and they weren't sure, but seeing under a scope I felt it had to be silk weft and wool warp, given how thick the warp was compared to the weft. I took it to a friend last weekend, a experienced costumer and now full time weaver, who declared it silk taffeta. Beige, variegated silk taffeta, with a white spun silk warp in white and two silks in the weft - white reeled silk and brown spun silk. The use of color and alternating spins creating an amazing depth from the fabric you'd not expect from solid silk. An amazing fabric I have no hope to match. You cannot assume a fabric is a certain material by look or touch. Even experts can be uncertain. From a photo, I'd have thought it was tropical weight wool with silk satin trim. Having had limited opportunity to handle extant gowns prior to to this one, I don't begrudge the knowledge by people who only have had access to paintings and fashion plates. It's like commenting on modern fashion having only seen runway fashion, Vogue and celebrities. You sure as heck can develop rules, valid rules even, that apply to these sources. It just doesn't hold up to real life. By modern standards, a meat dress is period. Yes, absolutely! The first time I saw wool satin I was baffled. Cotton sateen can also be a confusing fabric. You are absolutely right in that we cannot know what a fibre is until it goes under the microscope. All of the gowns I show above could indeed be blends or entirely different fibers - The Met doesn't elaborate on whether it's been scientifically confirmed that the fabrics on those gowns is cotton. Maybe it is, maybe it isn't - we just don't know. The overarching point I'm trying to make with this post is that we can't make definitive statements about things (me included!). I am confused as to why a woman couldn't have dyed her own natural cotton any color she liked and then sewed an dress from the solid color dyed fabric? Wasn't that a thing? Theoretically, but home dyeing was not very common in the 19th century. Textile production was mostly handled in factories, and a huge amount of variety was available in stores. You would have had to REALLY want something out of the ordinary to have gone to that trouble. Excellent essay, Lauren. Thank you. I am well aware that "never" and "always" statements made of medieval and pre-medieval clothing can and have been shown to be wrong, but I was not aware of how many such statements are bandied about 18th and 19th century clothing. That was educational for me, and I appreciate it. 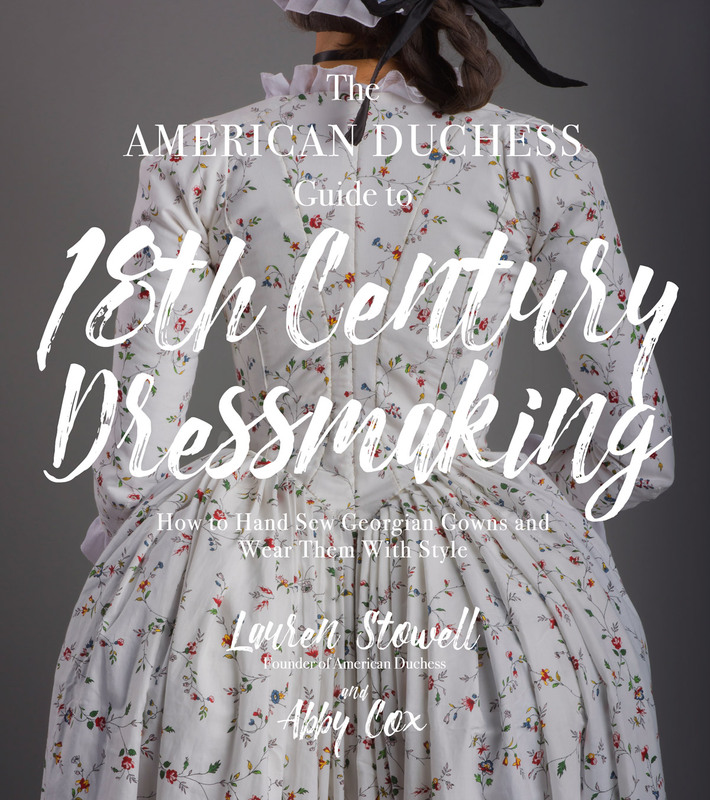 Here's another one that you may wish to comment upon; it resonates with me because it came up when I was making an 1840s dress: "Mid-1800s dresses always used self-piping, NOT contrasting color piping." 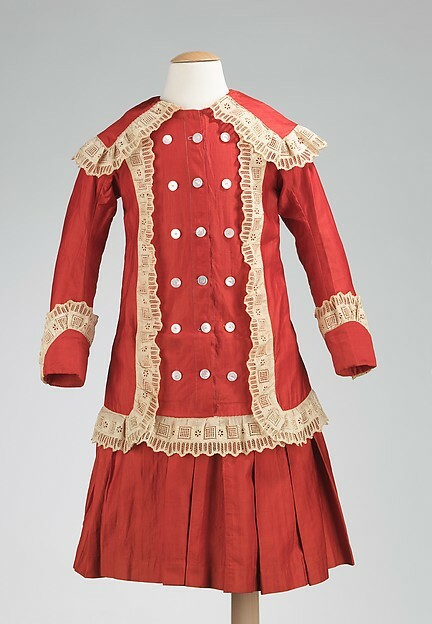 I think I found one exception in some quick Internet searching (should have kept the image), though most of the contrasting piping dresses I saw were 1870s or 1880s, as I recall. You make several excellent points. I would like to add one point that I hope is excellent! LOL! We (meaning I) need to remember that these museum articles are clothes of real people. Some people follow the herd, some people are fashionistas, some are modest, some are old fashioned. 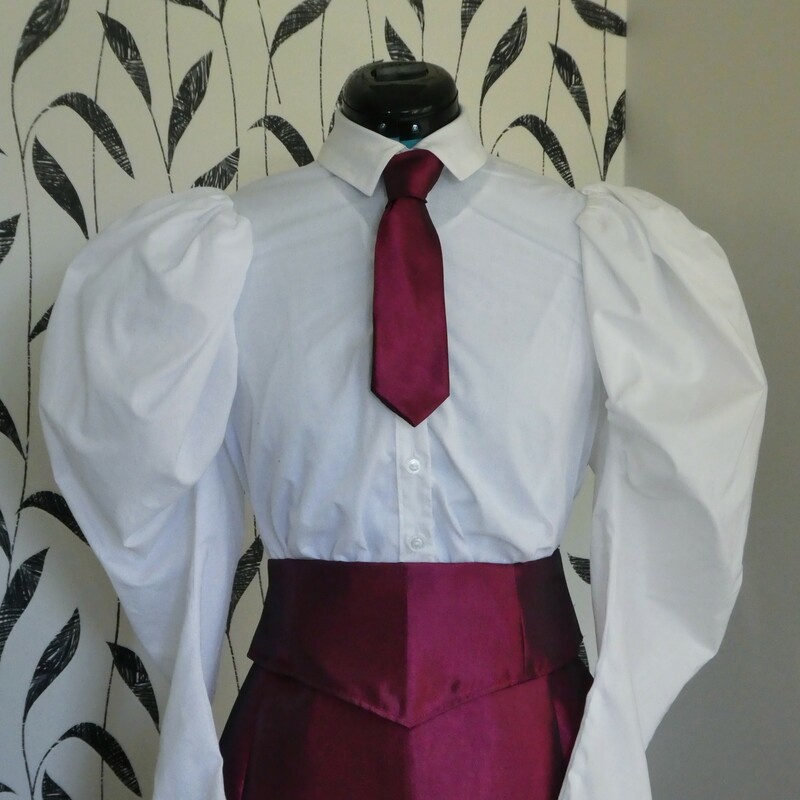 Just as today you can mix and match, wear hand-me-downs, make your own clothes, wear something straight out of the 1960's.....so could the folks in the past. They are just folks. Although there are guidelines and signposts, nothing is ever in concrete because these are the clothes of people. And people are people. Therefore, the extant gowns are only a small glimpse into the past. I fully agree about people often asking for black-and-white answers. I am so glad you wrote this! Excellent post, and inspiring comments. It's awkward when writing, and even more awkward in speaking, to constantly use those important words and phrases "usually," "in my experience," "as far as we know," etc. Thank you for reminding us not to get lazy, and to speak and write as precisely as we can.